The project of Stela Vasileva, Signs of Sound is a multimedia installation that functions in-line with the architectural environment where it is exhibited. 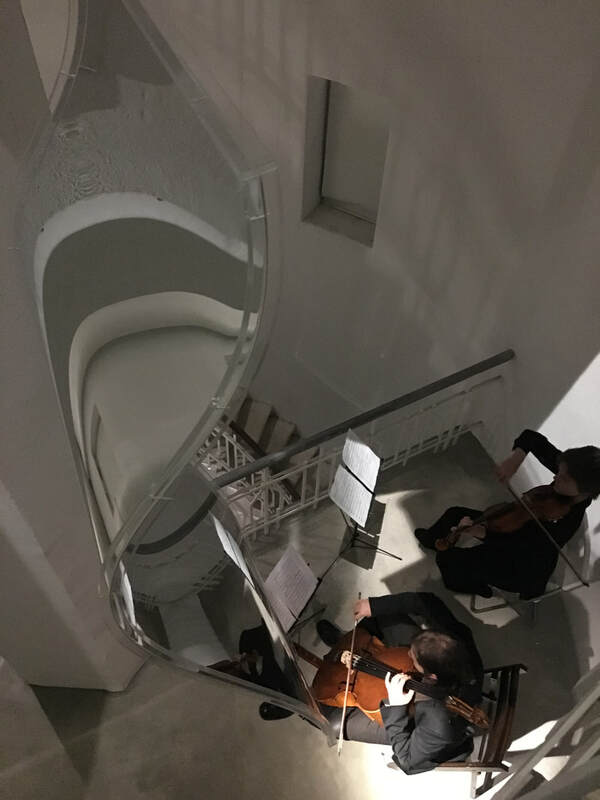 The first part of the project was created for the concert Stone Hall in the Balchik Palace for the Music Campus Balchik event. 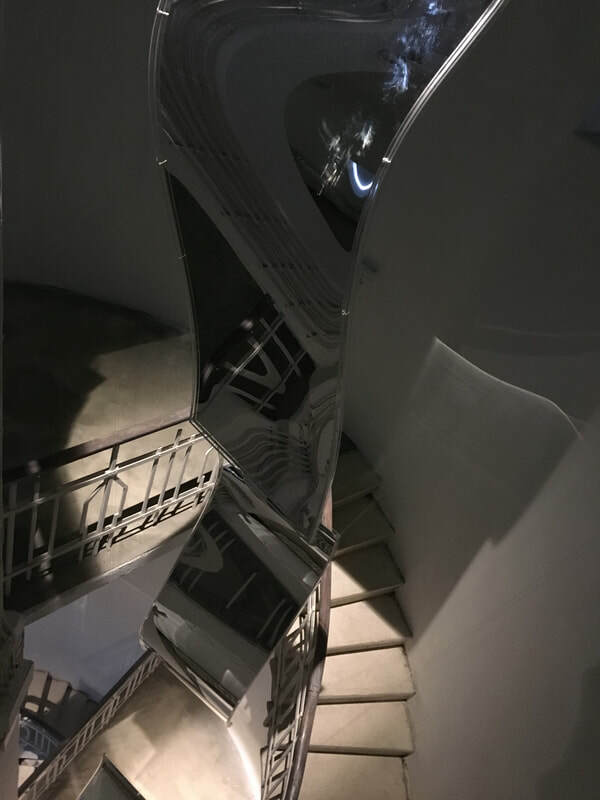 The installation consists of nine mirror double-sided panels, bent in the form of various sound waves. 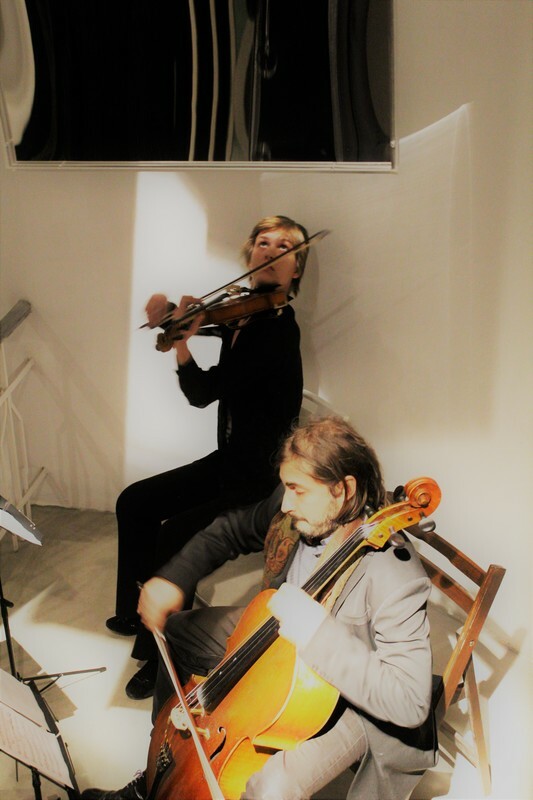 Besides being a plastic object, when placed near the musicians, they capture and reflect the vibrations of their instruments, and the mirror panels materialize not only the sound but also the play of light in the architectural environment of display. The second part of Signs of Sound will be developed for the space of the Water Tower in Lozenets /Gallery + 359/. 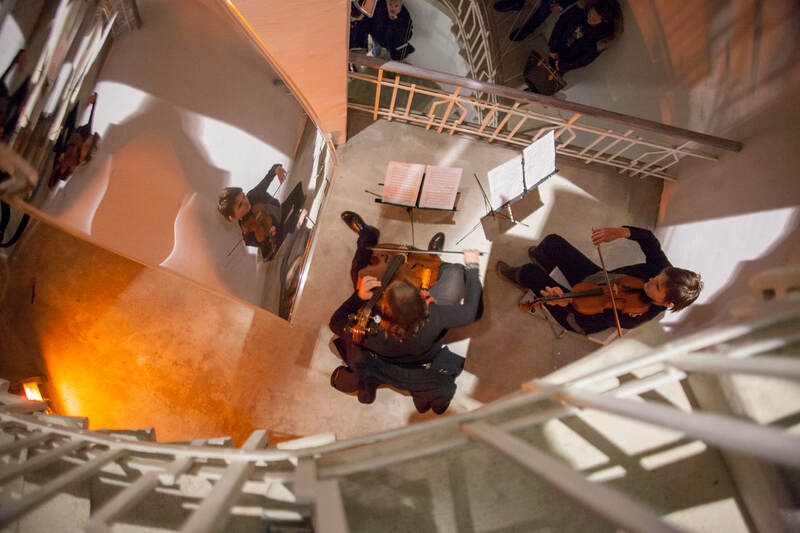 Music specially created for the site will sound within this project and the three-dimensional ‘sound waves’ will be displayed and illuminated in a new way corresponding to the cylindrical spiral movement of spectators in the tower. The possibility of encoding the features of today's world in sound and producing unknown harmony was one of the highlights of Dokumenta 14. They varied from an attempt to recreate the modern technocratic development of the socium in a musical work by reading drawings and other visual data with electromagnetic pen, creating musical instruments or sound devices from discarded objects that had sealed in sounds the stories of the objects to analysis of the noise in its multitude of forms destroying established codes, discourses, habits, aesthetics and morality. Projects that had made their mark on modern art history could also be seen in the Athens Conservatoire. One such project was that of Pauline Oliveros who in the 1970s explored the essence of hardware and software related to musical technology in order to address the nature of the time factor in a musical work through the natural characteristics of the technical equipment and its configuration. 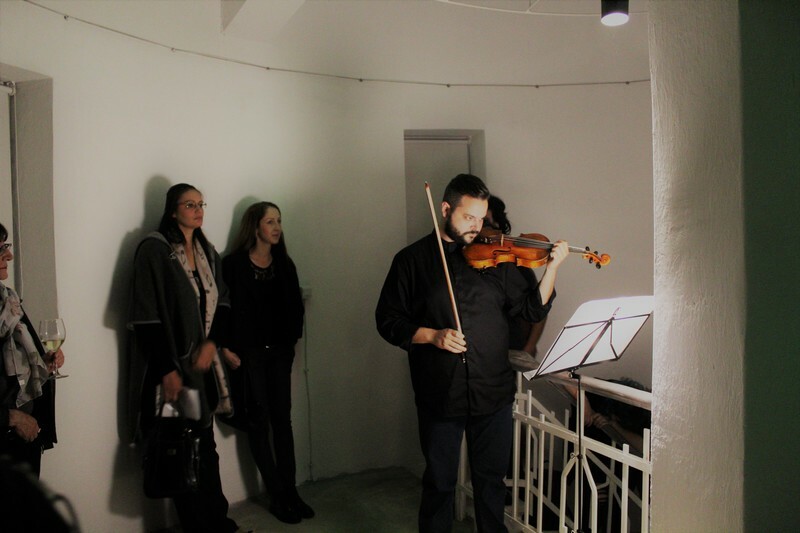 In Signs of Sound, the visual artist Stela Vasileva in collaboration with Stefan Hadjiev /violoncello/, Milen Apostolov /composer, conductor, musician/, Dobrin Petkov /architect, dj/, Elena Ganova /viola/, Ivan Staykov /violin/, Atanas Iliev /clarinet/, Svetlin Kratchev /violin/,Youliana Voikova-Najman /set designer, lighting / and Jiri Najman /lighting/ work with three-dimensional mirror sculptures, music and light on the idea of wave as an information medium. The basic physical property of the various types of waves is that they most often transfer energy, but there are occasions when the wave itself is the transfer of matter through a perfect vacuum. The elegant philosophy of this scientific definition is at the heart of the aesthetics of the Signs of Sound project. Its essence is not merely to present visually a reflection of a chart from physics accompanied by music and light, which in itself is a simple description of different types of waves, but to reason on the hidden connection of the elements of the world, on how they can become one sculptural object, light and music installed within a particular architectural environment. In Philosophy of New Music, published in 1949, Theodor Adorno connects music and painting marking the continuity between Debussy and Stravinsky: “the separate colourful complexes of Debussy are still connected to each other ... the sound is not interrupted but continues to vibrate beyond its boundary. Through such infusion, something like tangible infinity is formed …” Likewise, in impressionistic paintings, whose technique music has adopted dynamic impact and light effects are achieved through collocated patches of colour. “… Stravinsky embraced Debussy's concept of spatial two-dimensional music, and "giving space to music is more of a testimony to a pseudomorphosis of music with painting in the deepest essence of its abdication.” “Stravinsky sharply juxtaposes the spatial complexes of the individual parts, and the final product of the dynamics is layered like marble blocks.” These are just some of the characteristics of Stravinsky's revolutionary contribution to music, which is comparable to the transition from impressionism to cubism in painting. The concept of the Signs of Sound team in the Water Tower in Lozenets is every musician to play their part at a different level in the building. 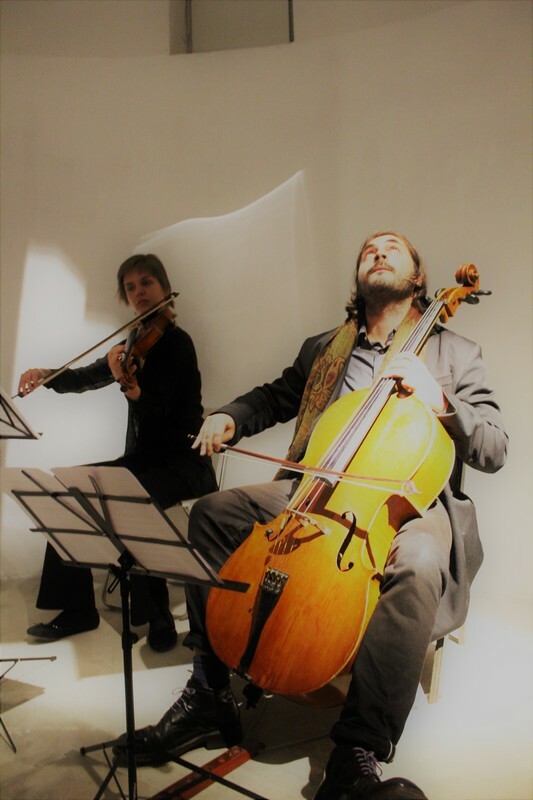 This separation of performers who have no visual contact with each other corresponds to the division and presentation of the sculpted ‘wave’ as individual segments that will not be conceivable as a whole, as the human eye cannot penetrate the architectural barriers, but will be united by the sounds of the individual instruments and the play of light. 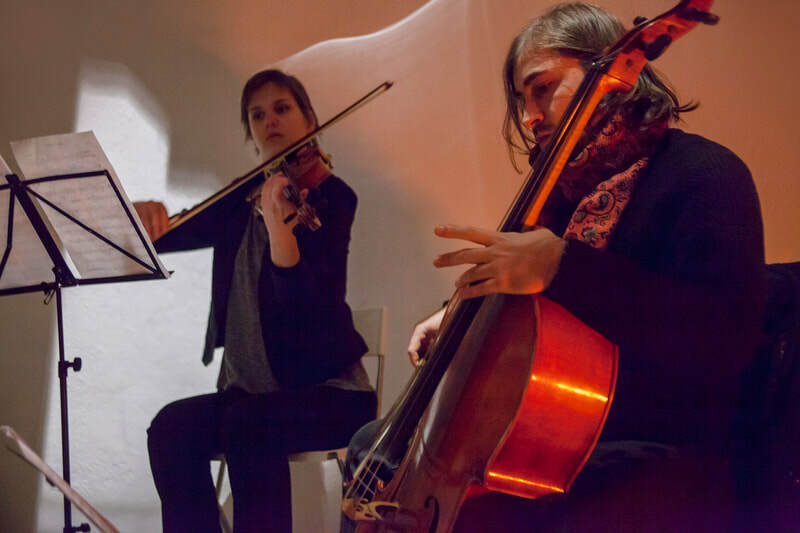 The ultimate result is an integrated multimedia installation that follows its own rhythm, evolving in time and space without a beginning and an end encoded in the harmony of music.